Antetokounmpo hasn't played since March 26, so his absence wouldn't significantly affect the team. If we've already seen the last of Antetokounmpo for the season, he'll finish with two total points, two steals and one rebound in 11 minutes. Antetokounmpo has been ruled out for Sunday's game against the Grizzlies with a sore left knee, Brad Townsend of The Dallas Morning News reports. He'll be one of six Dallas players sitting out due to injury, leaving the team with a thin bench. 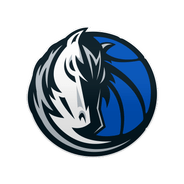 Even when healthy this season, Antetokounmpo hasn't been included in coach Rick Carlisle's rotation, logging just two appearances at the NBA level.